This is a nice driving range. Prices are driving range normal and the people are great. They have a great pro shop here. I have been here several times and there is always room for another golfer. The service at this place was wonderful. They have a lot of supplies and many instruments. While they weren't able to help me out with a repair they were able to refer me to somebody who did a fab job. I had an older lamp that needed some specialty repair work. This place was able to find the parts and do the repair in no time at all and for a very reasonable cost. Nice service people but the prices are a bit outrageous. I had them do a small job and couldn't believe how high their service call was. Seriously recommend getting quotes before hiring. This is one of the few remaining small video stores (not big chains) around. They have good prices and a fair selection of movies. The customer service has been either good or bad depending on who you get. Terry has a way with reading dogs and that helps in this business. Not only does she offer classes in a couple of locations but she also works one on one in private sessions. I really recommend It's a Dog's Life. This is the best hardware store ever. The people there are friendly and very knowledgeable. They have bolts and things in the oddest sizes. If you can't find it at the big box stores you can definitely find it here. So, save yourself the time and just go here. The people will help you find what you need and there is real personalized service. These two are the most amazing photographers ever. 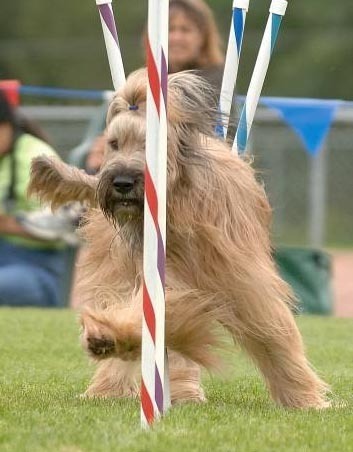 I have several of their agility trial shots and they are in several calendars. They do a great job shooting action shots but their product photographs are absolutely wonderful. The way they can photograph jewelry is just stunning. This place had a bunch of great neons and the service was wonderful. They were kind of busy when I was in there but still made time for me and my questions. I wound up buying my neon elsewhere but just based on convenience. Sandy helped me design the signage for the sides of my grooming van. Once we settled on the logo and look she got right to work on the vinyls and within no time at all had signs up and cute little pawprints going all the way around the vehicle. Best of all, it was really affordable.